The first joke you ever heard probably asked why the chicken was crossing the road. Then there’s the great philosophical question of our time – what came first, the chicken or the egg? The answer to the above depends on your feelings about religion, I guess. The question as to why the salmon crossed the road doesn’t really come up that often for obvious reasons. Yet salmon do cross roads, evidenced by the videos that pop up now and again of them doing just that. 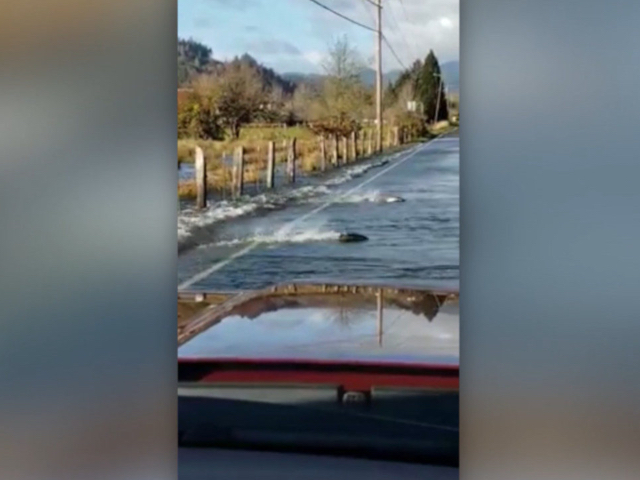 A recently posted Facebook video showing dozens of salmon swimming across the road in Skokomish River Valley, Washington, has gone viral, reports Business Insider. Why are they crossing the road? It’s spawning season. Every year, hundreds of salmon swim upstream, mate, and then die, revealing just how far some will go for a decent shag. The answer to the question “what came first, the salmon or the egg?” is definitely “the salmon”.